Glycopump – Glycerol with 6-fold power – for the best pump! Glycopump® is a newly-developed, natural glycerol-based vegan dietary supplement for all endurance sportspeople and power athletes. Through the years, sportsmen and women could only use an approx. 10% solution of glycerol monostearate. 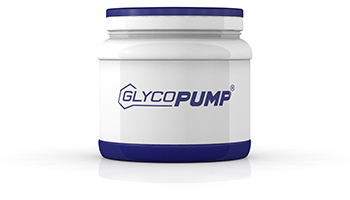 Now the new Glycopump®, with 65% pure glycerol, is available as a fine powder for individual power mixtures or in capsule form. An optimised fluid balance in the body means more muscle pump, hardness and definition as well as increased performance at endurance competitions! Highly purified glycerol, optimum effect: strong pump and muscle definition – improved intake and processing of creatine, arginine and citrulline! Glycerol is a 3-carbon molecule which is produced in small amounts by the body where it performs a number of important functions. It is usually perceived as a slightly sweet, syrup-like fluid with an approx. 5-12 percent proportion of glycerol monostearate. In the new Glycopump® we have processed this into a 65 percent-strong pure powder with a considerably higher level of efficiency than traditional monostearate compounds. Due to the particular osmolarity of glycerol, i.e. the concentration of osmotically acting substances, it can have a positive influence on the water content of the body and muscles. Power athletes gain wonderfully defined and hard muscles while endurance sportsmen and women experience prolonged duration of optimum performance during competition and training. The prolonged hydration of the body, especially when competing in warm and humid conditions, provides a possibility for a significant improvement in performance. If only water is additionally consumed, the kidneys secrete it quickly, whereas with Glycopump® the water can be retained in the body for up to 4 hours longer, with positive results, in particular towards the end of a competition or workout. 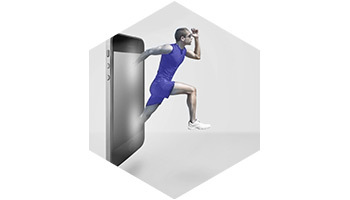 In addition, blood and cell volumes are increased during power training and muscles become bigger and stronger. Glycopump® is a product of the BMP Group, an international provider of raw materials from the “health food” trend segment and a subsidiary of BMP Pharma Trading AG, a trading firm for pharmaceutical raw materials which has been operating globally since 1979.